If local headlines are to be believed, not much happens in Shakopee. But last week, this placid town of 40,000 in the US state of Minnesota became the epicentre of the fight for humane working conditions at one of the world’s most valuable companies. For the last two years, Amazon has quietly expanded its presence in the suburb, and worker resentment towards conditions there has grown with it, culminating in today’s protest outside fulfilment centre MSP1—a sprawling 850,000-square-foot structure abutting a heavy industrial zone—attended by local activists and joined by Amazon workers ending their shifts. It ended with approximately 250 people marching on the building’s main entrance. The discontent primarily began as a reaction to allegations that the pace Amazon set for its workers, many of whom are practising Muslims, was impacting their religious freedom. The United States is home to the largest population of Somalis besides Yemen—many of whom fled to the US to escape genocide, civil war, and terrorism—and the overwhelming majority of them reside in Minnesota. As reported by Gizmodo in June, Amazon structures its performance metrics in such a way that makes basic necessities, like prayer or toilet breaks, prohibitively difficult, sometimes leading to docked pay or termination for those who cannot meet the company’s arduous expectations. Amazon has little room to plead ignorance to the calls of the workers in Shakopee: Similar labour actions took place in its home base of Seattle nearly two years ago when Muslim security workers held a “pray-in” to protest Amazon’s unwillingness to provide a prayer space. Bloomberg reported that activists within the Shakopee facilities previously brought demands to Amazon over the summer, when the Muslim holiday of Ramadan intersected with Prime Day, an annual celebration of consumerism. The action outside MSP1 was organised in part by Awood Center (“awood” is Somali for “power”), a relatively new and lean group focused on workers’ rights in the East African community around Minneapolis. 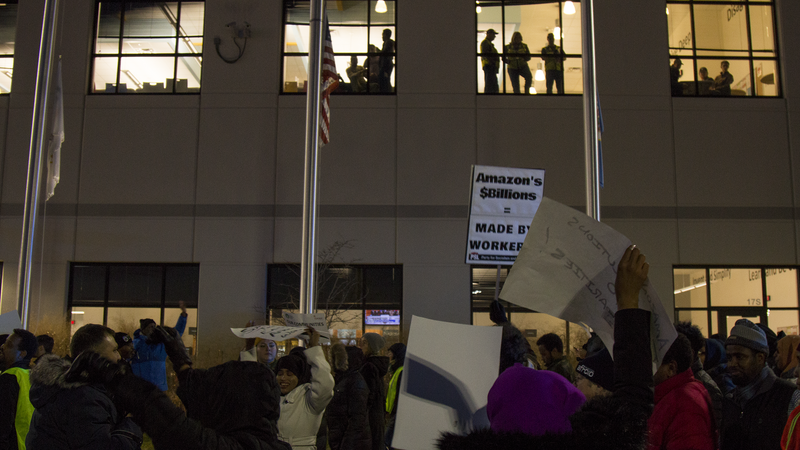 Though Amazon disagreed with the characterisation, the New York Times previously reported that these workers and Awood Center were able to achieve the unprecedented in getting Amazon to come to the bargaining table. “We have now met twice with Amazon management, which hasn’t happened anywhere else as far as we know,” Abdirahman Muse, the executive director of Awood Center, told Gizmodo. While a victory in its own right, Amazon has not, according to Muse, offered any “acceptable changes” yet, necessitating Friday’s protest. 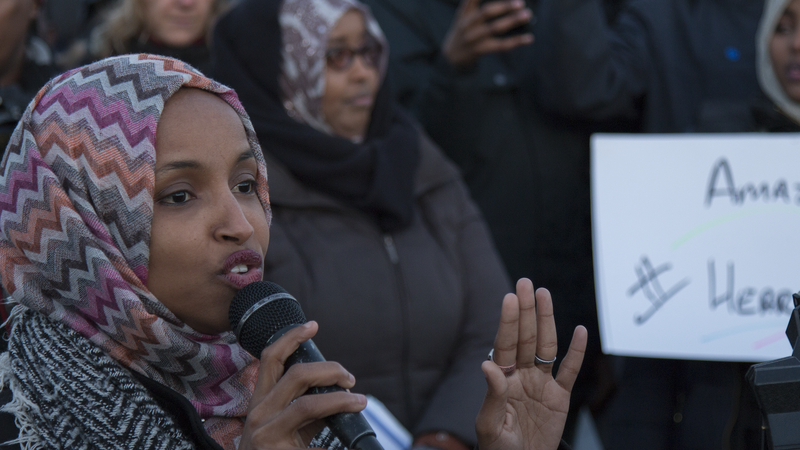 Joining the group of protesters outside MSP1 was Representative-elect Ilhan Omar, the first Somali-American representative in the US Congress. “Amazon doesn’t work if you don’t work,” she said to wild cheers, “and it’s about time we make Amazon understand that.” Minnesota Lieutenant Governor-elect Peggy Flanagan also passed on words of encouragement to workers through an unlisted video on the governor-elect’s Youtube channel, stating, “Today, my hope for you is that you can organise in partnership to create jobs at Amazon that are fair, safe, and reliable.” She stressed the importance of collective bargaining, something Amazon has been widely viewed as hostile toward since Gizmodo obtained an internal anti-union training video in September. Amazon are truly pulling out all stops in attempting to spin this action, going to far as to describe the protest as an affront to non-participating workers. “The majority of the people participating in [Friday]’s events are not Amazon associates because most Amazon associates are at work today sending out thousands of holiday packages for customers. We are disappointed in today’s efforts to undermine the dedicated and hard-working people who are the life and soul of our business. For them, it was business as usual,” a spokesperson wrote in a statement to Gizmodo.